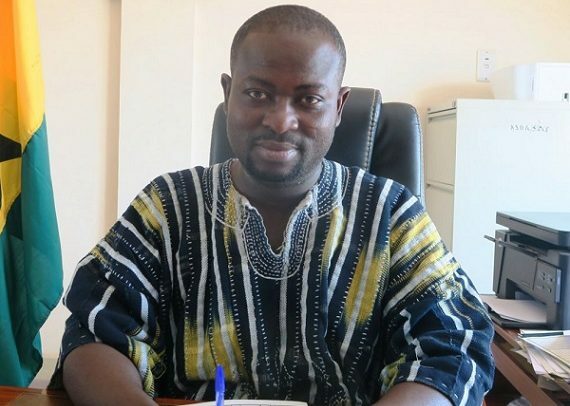 The District Chief Executive (DCE) of Kintampo South – Gyan Alexander – has admonished the people in the area to be patient while the Akufo-Addo administration endeavours to solve the numerous problems confronting the country. He disclosed this when DAILY GUIDE called on him at his office in the district capital – Jema – to ascertain the truth or otherwise concerning numerous calls for the district assembly to expedite action on the development of the area which has been neglected for so long a time. Answering questions bordering on the uncompleted projects left behind by the erstwhile NDC government, he emphatically denied the rumours that the projects had been neglected. He said since governance is a continuous process, projects that the NDC government left behind are ongoing. He mentioned a library project which was started in 2016 as an example. According to him, the project is almost completed and computers and other materials have been acquired to fill the library. He cited other projects as well. Mr. Gyan Alexander also said new projects had commenced since the New Patriotic Party (NPP) came to power. Some of the projects are 40 market stores, a maternity ward for the Jema Hospital and a warehouse which is in progress. He said the most significant of all the issues is sanitation. A refuse dump, which has been in existence for about 70 years at Jema centre, has been evacuated. According to the DCE, arrangements are underway to remove every refuse dump from the district to improve sanitation in the area. He said when he assumed office, there were only 1.5 km town roads and the NPP government has added 19km to it. This, according to him, would make Jema one of the most beautiful towns in the Brong Ahafo Region and Ghana as a whole when the roads are completed. He therefore appealed to the people, especially the youth, to rally behind and support the good policies of the Akufo-Addo government in the interest of national development. In his view, all the promises made by Nana Addo in the run-up to the 2016 general elections would come to fruition by the grace of the Almighty God. DAILY GUIDE visited places like Apaaso, Chirehin, Bredi, Jema Nkwanta and Jema town and observed the projects that the DCE mentioned. At Apaaso, the headmaster complained of inadequate chairs. However, upon checks from the district assembly, the school was given some chairs but they were not enough. The DCE said the problems were too many and at the right time more chairs would be sent to the school.